Maintaining & Improving Gardens & DIY in Winter for the Home Gardener. Take Care to Service Lawn and Garden Equipment, Conduct Fence Repair & Tips for Gardening Tasks. 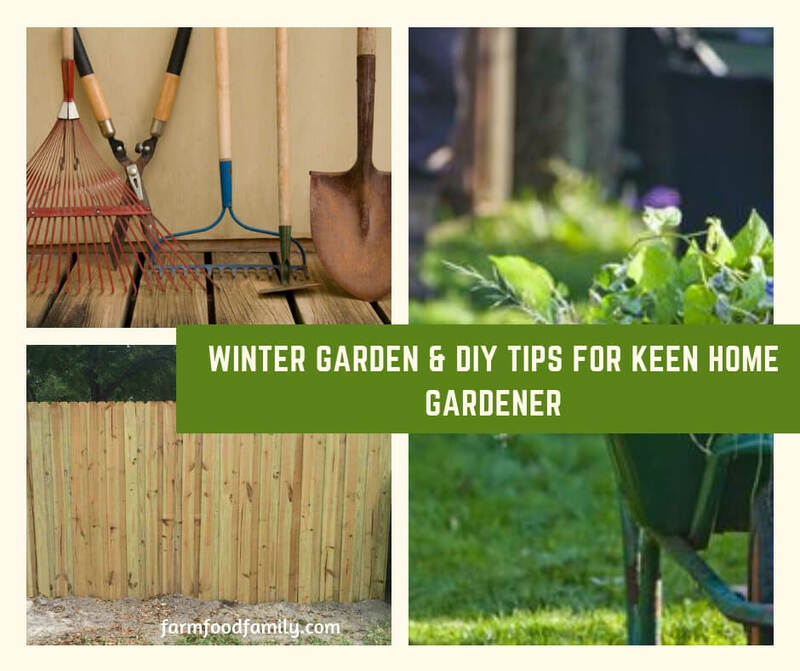 Winter may be a dormant season in the garden but the keen home gardener will be busy throughout the winter garden season. Planning a schedule for jobs in the garden throughout the winter is a great idea and will be a visible reminder of all gardening jobs and DIY that still needs doing. Of course, many winter garden tasks can only be carried out when the weather is opportune, so on any of the, perhaps infrequent, dry and mild winter days it makes sense to get out into the garden as much as possible. One of the most important winter tasks is to arrange a thorough service for all lawn and garden equipment, prior to the Spring rush at the garden service centers. Garden tools such as hoes, shovels, spades, forks should be thoroughly cleaned and any blades sharpened. Keep the surfaces of these garden tools in tip top condition by wiping them with an oily cloth before storing in garden sheds or undercover for the winter months. Winter is the best time for carrying out fence repairs and painting as climbing plants are dormant. Thoroughly check all garden fence posts and panels for any rot or damage. If there is apparent damage, replace or repair these and paint them. Also consider painting or weatherproofing garden fences thoroughly as any of the more vigorous climbing plants can easily be unsecured from fences during Winter. Further, the plants will not sustain damage due to creosote or fence paint as they are dormant. The best idea for scheduling winter garden and DIY jobs is to draw up a plan of all winter tasks that will need doing at the start of the dormant season and attempt to draft a timescale for carrying out this work. Of course, dates will need to be fairly flexible as they will be dependent upon weather conditions. Break up solid surface of ice on ponds throughout Winter to oxygenate water. Floating a tennis ball on the surface of the pond should ensure a small area of water is ice free at all times. Improve wet soil by digging in a large quantity of grit. Perhaps one of the best winter tasks for keen gardeners, however, is sitting in front of a blazing fire leafing through seed and plant catalogs and planning out details of planting and color schemes for the following Spring and Summer.